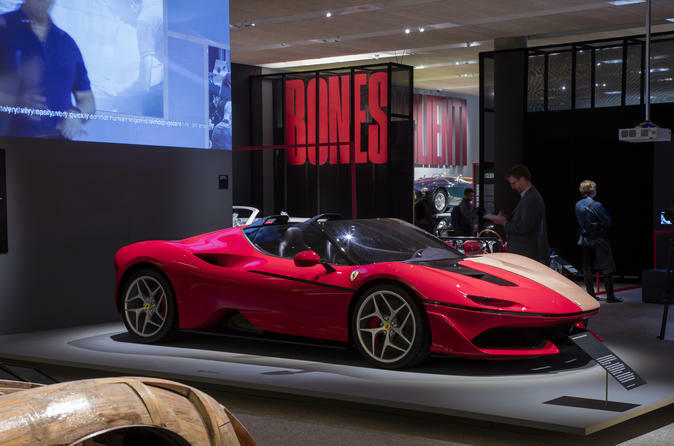 Discover Ferrari’s rich 70-year history at the Under the Skin Exhibit and Design Museum. Learn how Enzo Ferrari got the idea to create the ‘perfect racing machine’ and how it became one of the most expensive and luxurious cars in the world. See hand-drawn sketches, model, and engine replicas, and films and interviews to complement Ferrari’s story. Please note that visitors may be required to queue during busy periods.